The Teachwall 200 is just one of the acoustic moving partitions that we supply, here at AEG Partitions. 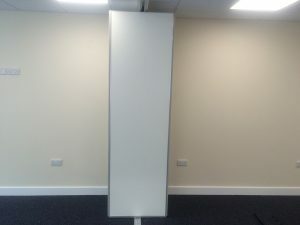 It’s a sliding folding partition that has an appearance that is often envied by many. 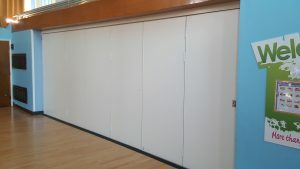 We supply the sliding walls to offer a suitable solution for utilising the space you have available within your building. 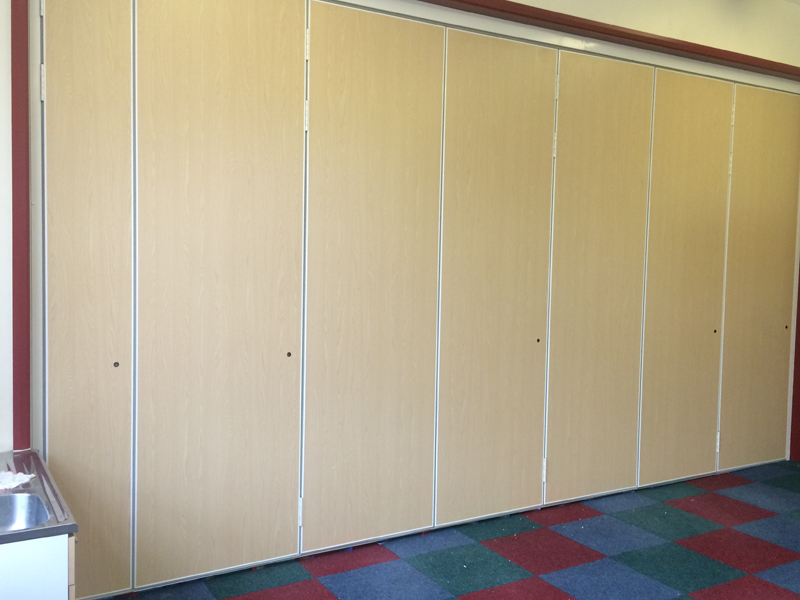 Our Teachwall 200 is designed to transform any space to ensure that it achieves its full potential- can you afford to miss out? As sliding wall dividers, the Teachwall 200 is guaranteed to divide space innovatively to create an inspiring overall finish. 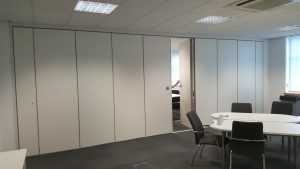 Here at AEG Partitions, we supply the sliding walls to suit the requirements of almost any industry. 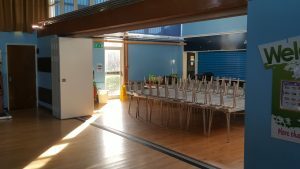 They are each manufactured in the UK using only the highest quality materials. 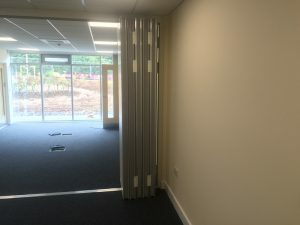 The sliding wall dividers are top hung; therefore, a floor track isn’t required and what’s more; they’re hinged to make it easier for you to operate. 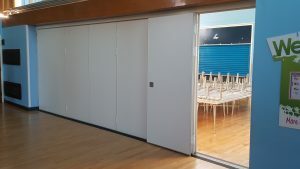 Our sliding wall doors are designed to be safe and secure and are especially flexible, providing you with a suitable solution for restricting any excess volumes. 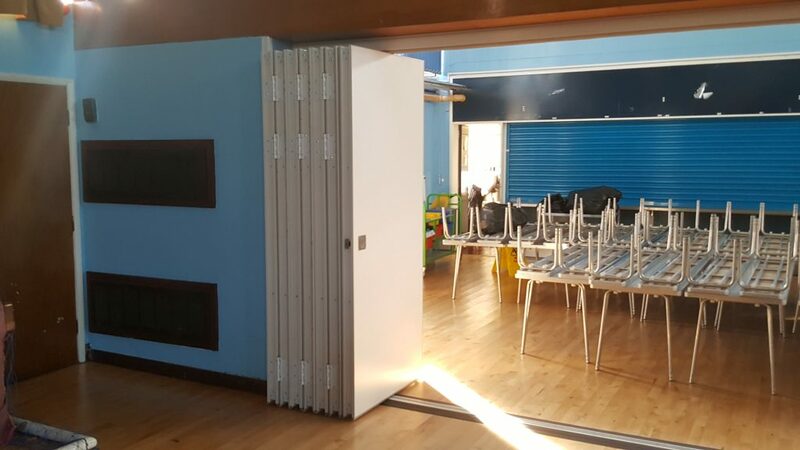 When it comes to installing a sliding wall system to your premises, you can rest assured that AEG Partitions make the process easier for you. 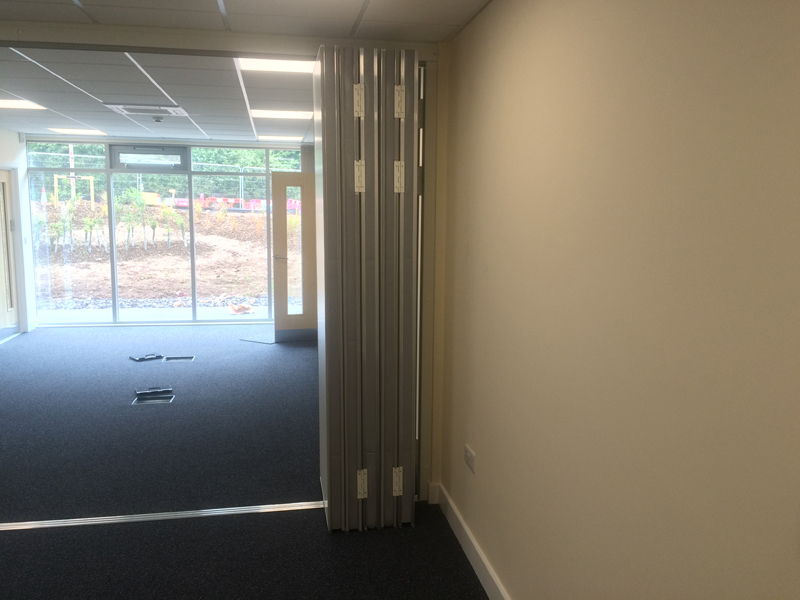 Our sliding wall system is quick and easy to install, saving you time, effort and money. 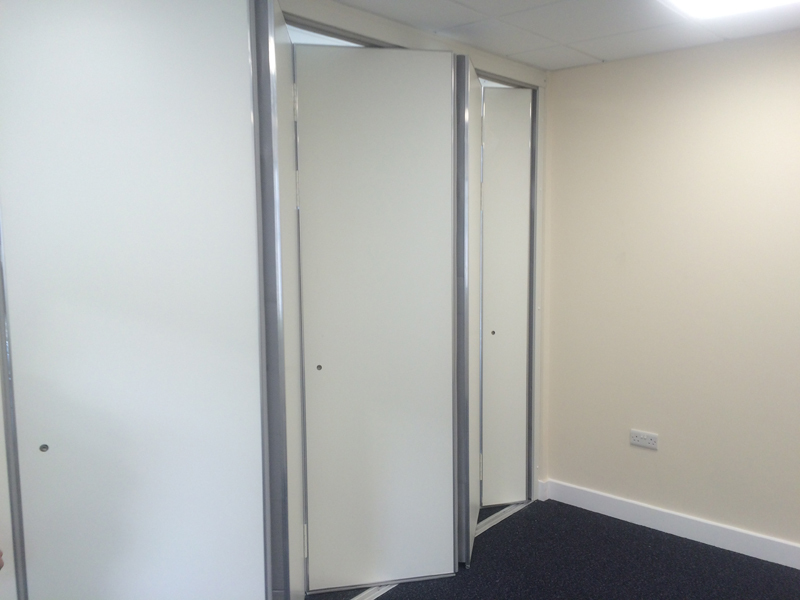 Sliding wall doors are ideal if you’re looking for a solution that’s minimally disruptive. The team of experts, here at AEG Partitions can install the internal sliding doors within 1 day, allowing you to divide space effectively. Our sliding walls are suitable for any educational buildings like nurseries, schools and colleges, as well as, exhibition halls and hospitals. 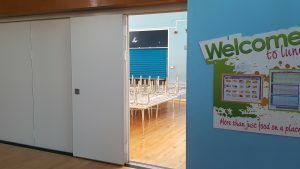 The sliding wall dividers are favoured by teachers and architects alike because it provides them with greater convenience to maintain the attention span of students and to enhance the aesthetic nature of premises. The internal sliding doors offer countless benefits for an array of industries, could you benefit from the sliding wall dividers that we supply at AEG Partitions? We provide you with the opportunity to choose something that accommodates your stylish needs. 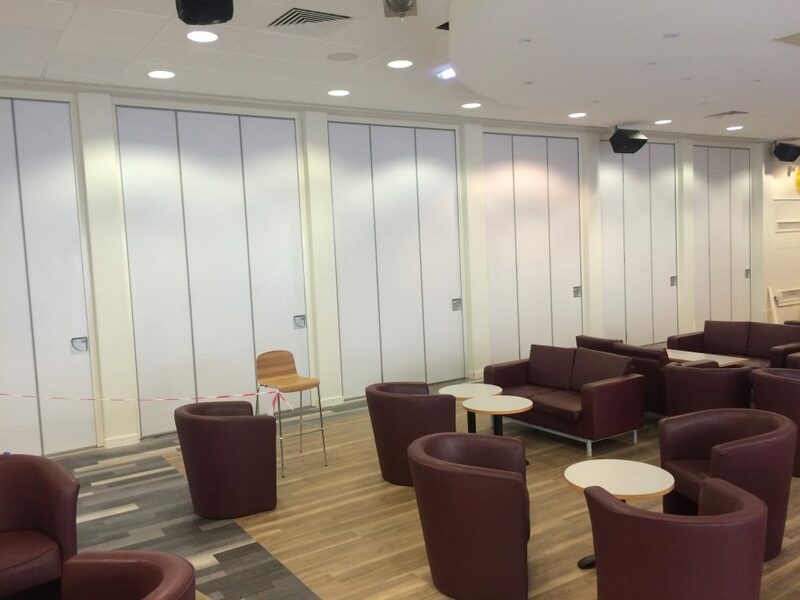 The sliding wall system is designed to be sophisticated and visually enhancing, no matter where it’s installed! 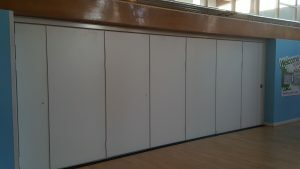 At AEG Partitions, we pay careful attention to detail. 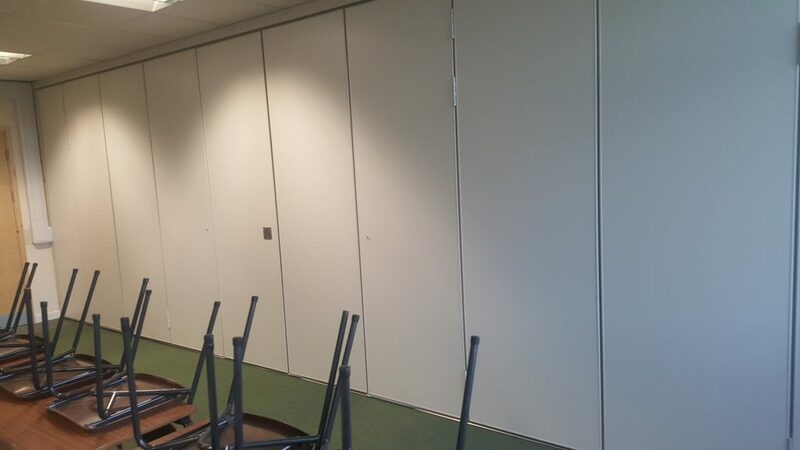 We supply the sliding wall partitions in a complete range of coloured finishes, including white, grey and cream and birch, maple, ash, beech and oak wooden finishes. Our sliding wall doors are guaranteed to suit the interior of your property. 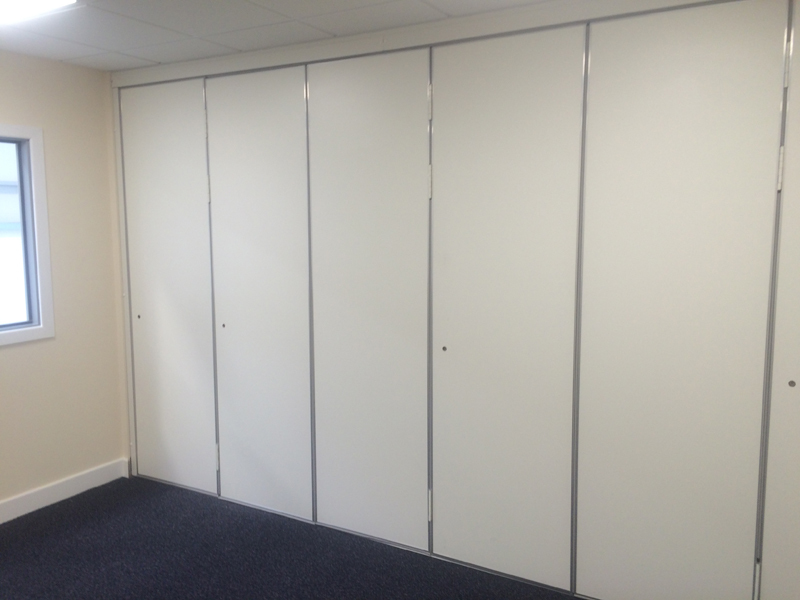 The Teachwall 200 is designed to be modern and professional but enables you to divide space efficiently. This sliding wall system incorporates a soundproof quality that absorbs any unwanted sounds, ultimately creating a more efficient environment. 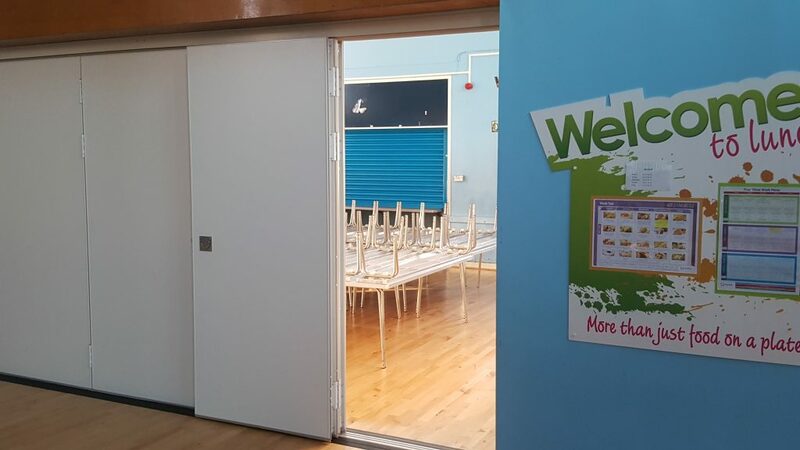 Our internal sliding doors provide an economic solution, so no matter how big or small your budget is, you’re sure to find exactly what you need! For us at AEG Partitions, we aim to meet a spectrum of needs and wants, ensuring that you find a suitable solution for dividing the space within your premises! Characteristics: UK manufactured hinged sliding folding system. 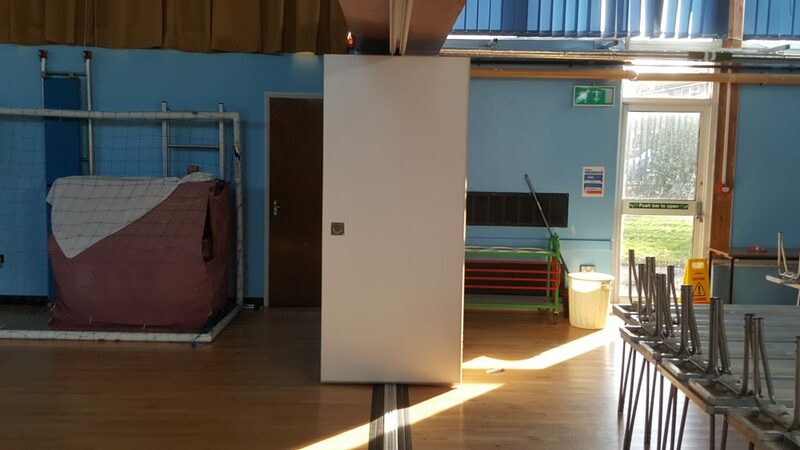 This system can be top hung without a floor track or bottom rolling on a flush surface mounted track, face operated espagnolette bolts lock the wall securely in position. We add continuous contact seals to minimise sound transfer, the system can be provided in a single wing or bi-parting wing configuration. 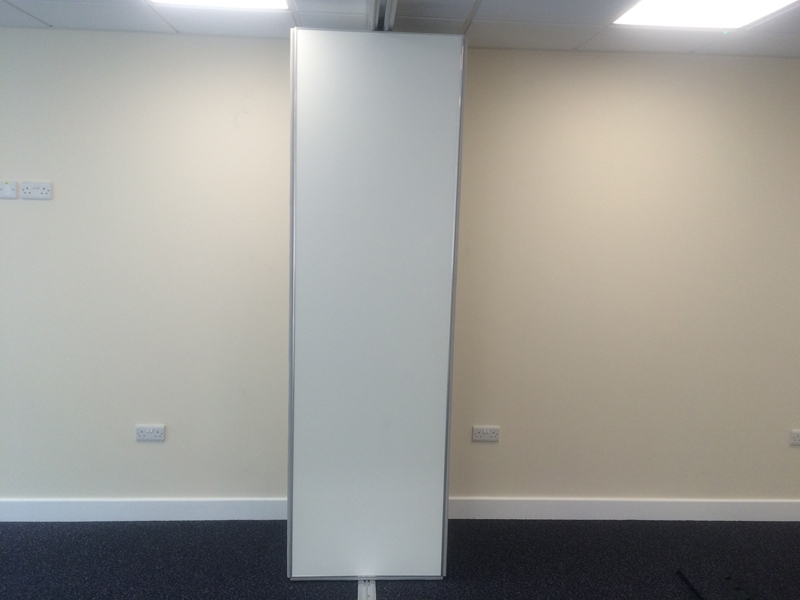 The leading element is a full height pass door as standard. 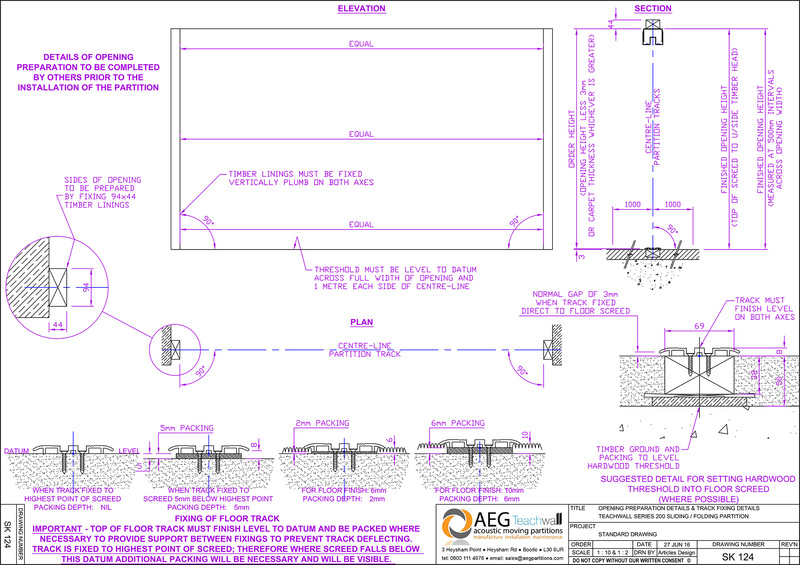 Construction: 80 mm thick panels. Aluminium frame, cross braced, clad with 16mm high density particle board. 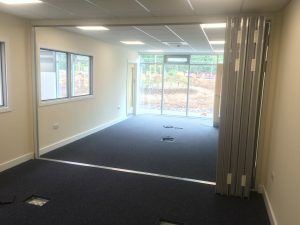 Acoustic integrity maintained with high density acoustic quilt, rubber matting and core materials. Stacking: Single Wing or Bi-parting. Copyright © 2019 AEG Teachwall LTD – Powered by Customify.